*Mr. and Mrs. Charles Ehlert and familly of Dundee, Illinois, came in 1905, settling on a farm three miles west of Columbia. They cleared acreage and had nice farm buildings. Mr. Ehlert was chairman of the Town of Hewett for many years and also held offices in the school district. The entire family was active in community affairs. Of their six children, Arthur helped on the farm. In 1914 he married and moved to northern Clark County. George took the agricultural short course at Madison and became inspector of cattle herds throughout Wisconsin. In World War I he was drafted. He was married in 1918 before leaving for France. There he passed on with pneumonia. Louisa worked in Milwaukee a few years until she was incapacitated. For many years she has been in the Memorial Home in Neillsville. Eric worked for a time with surveyors if Wisconsin Farmland Company. After mayying a girl from Oconomowoc they farmed there. Laura married William Biggs of Milwaukee. They had a restaurant for several years, later moving to her father's farm in Columbia. They had two children. Marie married Walter Wagner of Neillsville and they farmed near Globe. Upon retirement Mr. and Mrs. Ehlert lived with their daughter, Laura, in Milwaukee, where they passed on. Carl married and lived in Wausau. Right--Mr. and Mrs. Charles Ehlert and Charles Ehlert's sister and husband. Standing are Mr. and Mrs. Schulz, mom and dad Schulz, and Grace. Sitting are Minvia, Ida, Georai Anne and Bill Schulz. *Mr. And Mrs. William Schultz were born in Germany. He came to the states in 1884, They were married in 1892 and lived in several towns in Illinois where he was a blacksmith. They came from Huntley, Illinois in 1905 and bought the Billy Stafford 200 acre farm, two miles west of Columbia. The first home was a log cabin but when Schultz's became well established they built a large newhome and other buildings. They were scientific farmers building up a fine dairy herd and chicken farm. He served two terms as Hewett Supervisor. There were five children with Arthur, the oldest taking over the farm when his parents retired. He never married.  He served as Town Treasurer and also Treasurer of Hewett school. When he passed on in 1959, the youngest of the family, Bill and Georganna, carried on with the farm and were still living there in 1971. Ida married George Baumel of Columbia. One girl, Garce, was born to this union. They lived in Chicago a short while. This marriage was dissolved. Later Ida married Fred Montman of Hudson. Minna married Ole Aspen of Dells Dam. *Mr. And Mrs. Schultz celebrated their 50th wedding anniversary at the home farm in 1942. There he passed on in 1947 and she in 1953. *Adolph Schultz, a brother of William Schultz, came from Germany. After making his home with William, he bought acreage joining his brother's farm. In Germany Adolph worked for Dad Schlender's uncle in Prelvitz, Pomerania. The uncle was the mayor of the town. After Adolph passed on Mrs. Schultz's brother, John Gall, made his home with them. *Mr. And Mrs. Rehberg came from Huntley, Illinois in 1905. Four miles west of Columbia they built up a nice farm but returned to Illinois a few years later. There were five children; Alfred, Herman, William and twin girls. The twins were deaf mutes and attended a school for the deaf and spent part of their summer months with their parents. The Wisconsin Farm Land Company used the house for some time for their surveyors. 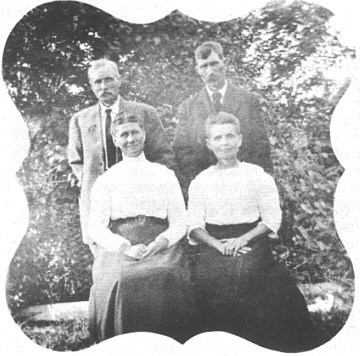 *Mr. And Mrs. Sweetland and family of Hewettville lived on the William Rehberg farm for several years. He drove on of the school buses, and also worked for Singer Sewing Machine Company. Of their eleven children only the youngest six were in Columbia and attended school. They were Parley, Leona, Birdean, Charles, Lyle and Maxine. The family moved to Wisconsin Rapids. Tenants lived in the house until the county took over for a tree farm. 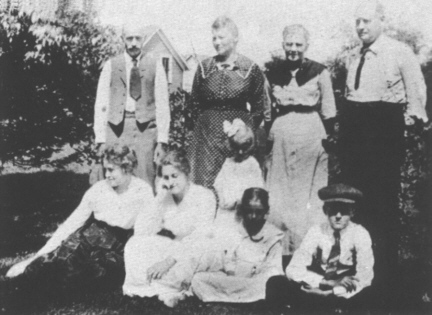 *Mr. And Mrs. Peter Larson and family came from Rockford, Illinois, in 1905. They built a home and started a farm three miles west of Columbia where they stayed for fifteen years before returning to Rockford. There were three children. Esther marreid Paul Braman of Levis where they farmed on his parents' farm until they passed on. The young couple moved to Richland Center. Anna and John attended Columbia school and were active socially. Anna married Fred Moser of Columbia. They live in Neillsville where Fritz worked in the condensary. Their two children were Edna and Fred III. The latter passed on in infancy. They moved to Rockford in 1924. John helped his father on the farm until he was drafted in 1917, serving to the end of the war. He returned and then went to work in Rockford. Here he married and had one son, Gene.